Several very efficient models to choose from. 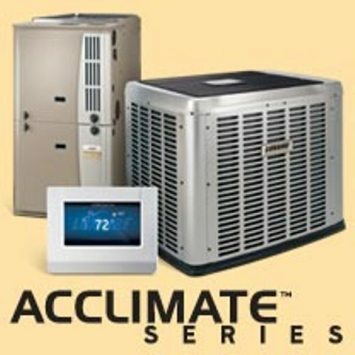 Starting with the 13 SEER Climasure unit (most common), to the 18 SEER Acclimate unit. These systems are very quiet and reliable. An A/C system that requires no ductwork. Radiant heated homes are a perfect application. Can also be added to exiting homes, small commercial and computer rooms. Heating your domestic hot water with a Rinnai tankless system has never been more efficient. Use of energy only when needed. You will never run out of hot water again, and with up to 40% savings! Gas fired boilers by NTI can be the most efficient way to heat your home. Up to 98% AFUE. From radiant floor heating to hot water on demand, any combination can be achieved. Continental has the fireplace you're looking for.